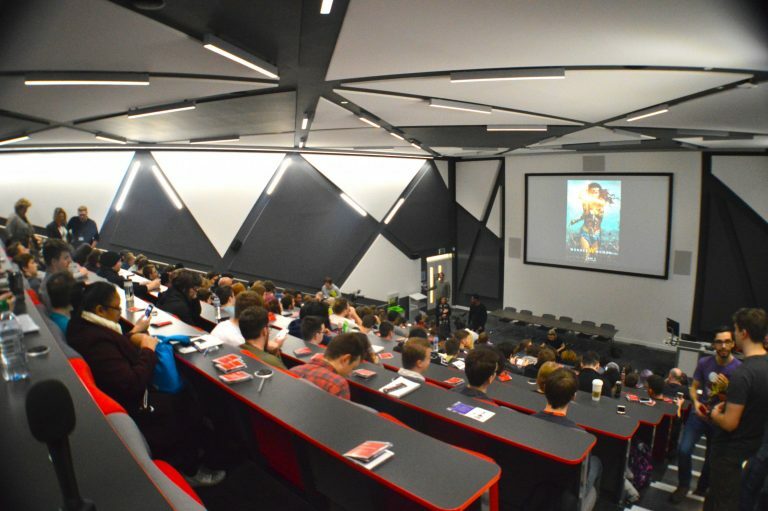 This Friday (1st February 2019) Southampton Solent University will host their second CGFX Festival. The event involves guest speakers from the visuals industry attending and giving talks about what it is that they do or have been working on, in the hopes of inspiring or helping students to get into this line of work. CGFX is an event that is open to students and local colleges and is aimed at those who are interested in Animation, CGI (computer- generated imagery), and VFX (visual effects), hoping to gain an insight into the industry or if they are just generally interested in and enjoy CGFX. Last year, the event consisted of speakers from multiple different organisations who gave talks about the field, including: how to get in, their role within it and showing some of the work they were currently doing or had done. This year consists of the same general concept but with new speakers, giving new insights and perspectives into the industry. The companies that will be represented at the festival include Double Negative, Jellyfish Pictures, Nodes & Layers and LoveLove Films. The day will officially begin at 10:00am with four hour long sessions then followed by a Q&A panel, which will host some of the guest speakers. Following this panel will be a special showing of ‘Chin Up’, an animated documentary by LoveLove Films and a talk from its director, LoveLove’s own JoAnne Salmon. Finally, the event will end with an evening reception in which students will be able to showcase their work, enabling them to network and present their creations to the guest speakers who can offer advice and feedback. The Q&A session will be hosted by LoveLove’s very own Managing Director Georgina Hurcombe, who will be joined on stage with the guest speakers from the earlier sessions. This will enable the audience to ask questions to any of the speakers about the industry and any of the work they have done or collaborated on. Last year’s special showing featured Blue Zoo’s award-winning short film ‘Mamoon’, which is about Syrian refugees fleeing because of the civil war that conflicts their country. This year will see LoveLove Films own animated short film documentary ‘Chin Up’ being showcased to the students. ‘Chin Up’ tells the story of one of LoveLove Films own animators, JoAnne Salmon, who was one in fifty thousand babies born with Treacher Collins Syndrome and how today she is living her dreams as an animator. Also, as the director and animator of the documentary, JoAnne has previously stated that “​Chin Up​ is at its essence a story of hope and self acceptance” it “is not a documentary about sadness… [but] about facing challenges head on”. After the viewing, JoAnne will also give a talk, providing insight into why she loves animation and decided to pursue it and how she got to where she is today, making it relevant and relatable to the students. Additionally, she will also discuss why she did the documentary and how she set about achieving it, ending with a Q&A. Together, she hopes that her short film and talk alike will inspire “people, no matter of age, gender, race or ability” into knowing “that they can be whatever they want to be”. Overall, the CGFX festival will be a tremendous opportunity for students to gain an invaluable insight into the visuals industry and to see some of the amazing creations that professionals of the trade have produced. With this year’s line-up, it’s easy to see how the event will achieve what it aims to do: entertain, inform and inspire. The LoveLove Films Team hope to see you there!